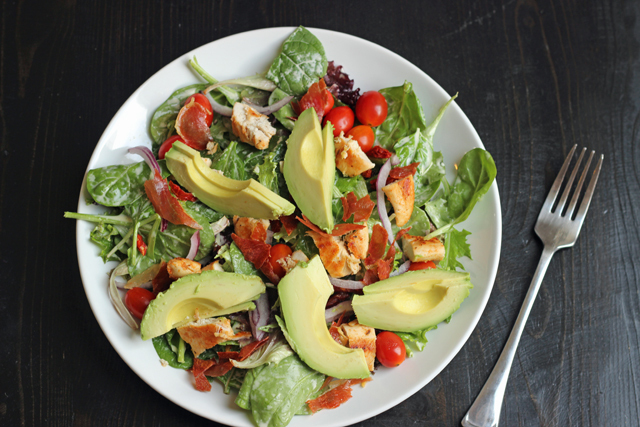 Craving something fresh during these last weeks of winter? 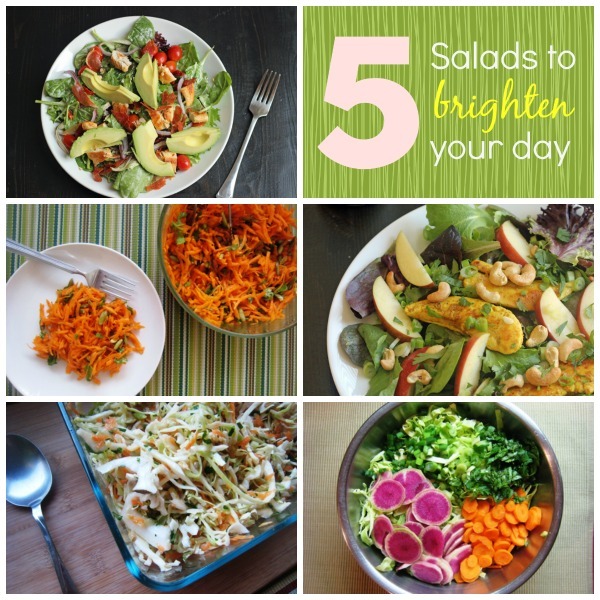 Try one of these delicious salads! Who says that winter needs to be gray and dreary? 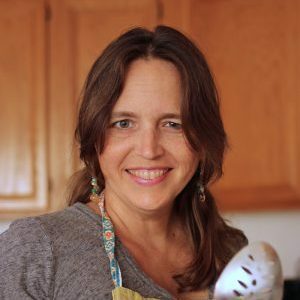 When you consider some of the fruits and vegetables that are plentiful and often on sale in winter, there’s no need to be sad. You can still eat the rainbow this time of year. I’m a salad girl. In winter I don’t always make the effort to pull one together, but whenever I do, I am glad I did. Check out these seasonal salads that can serve as many dishes or easy sides while we sit out the rest of winter. This salad is my recreation of a remarkable Chicken and Prosciutto Salad that I enjoyed during our trip to London. 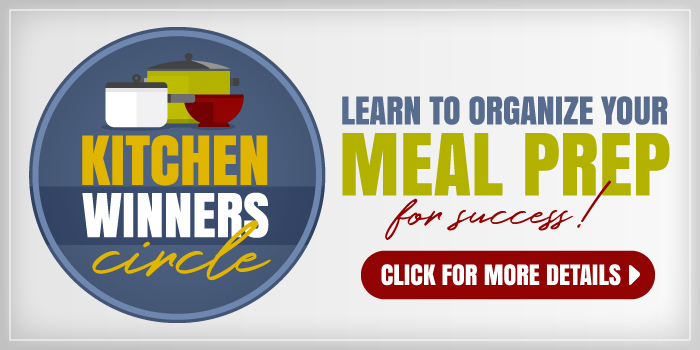 It comes together very quickly and is great for packing a lunch. Yes, I cheated and included tomatoes in this dish, but I’ve found that grape tomatoes still have flavor in winter. Go figure. Curried chicken and apple make a great combo. 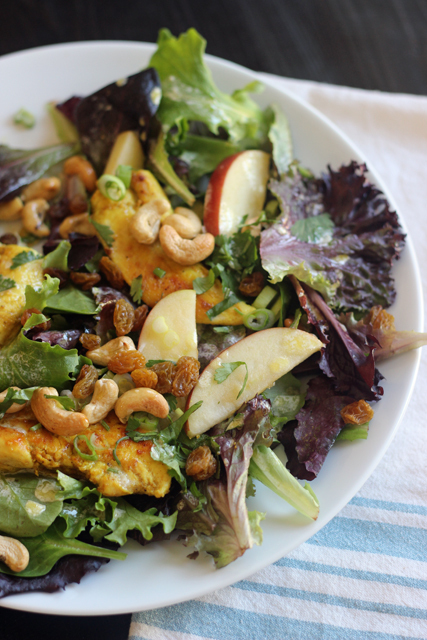 My husband was skeptical the first time I made this Curried Chicken and Apple Salad, but he’s now a believer. You will be, too. Apples, scallions, fresh herbs, and dried fruit make this meal salad brighten up any winter day. Cabbage can make a tasty, affordable salad, especially when purchased on sale. 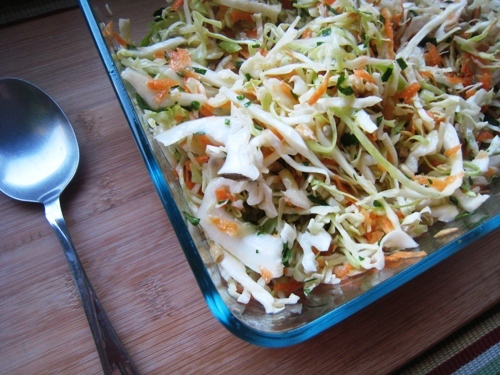 This Sunshine Cole Slaw recipe bursts with sunshine flavors of lemon, carrot, and chive. And yet, everything is in season this time of year. Booyah! 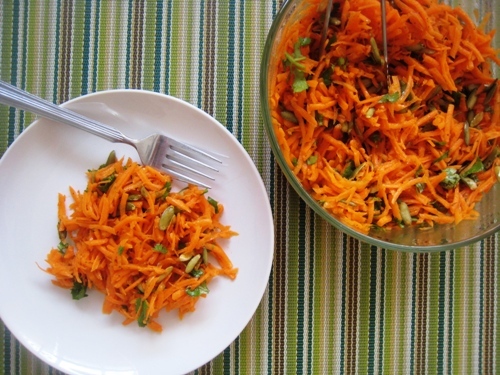 Shredded carrots get oomph from a simple dressing of orange juice and spices with pepitas adding some crunch. This Carrot Salad with Cilantro and Pepitas is amazingly easy to prep and makes a delicious first course or side salad. It’s also pretty cheap since carrots are easy to come by all year round. It’s a beautiful thing when you can make a dish that tastes just as good the second night — if not better — as it did the first night you served it. Such is this cabbage salad full of root vegetables and scented with ground cumin. You’ll be fighting over who gets to have the leftovers. 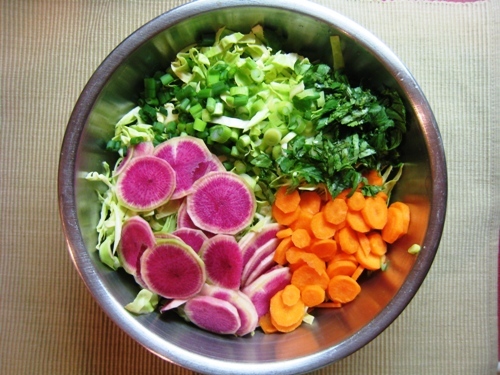 What’s your favorite salad during the winter? It’s strawberry season! 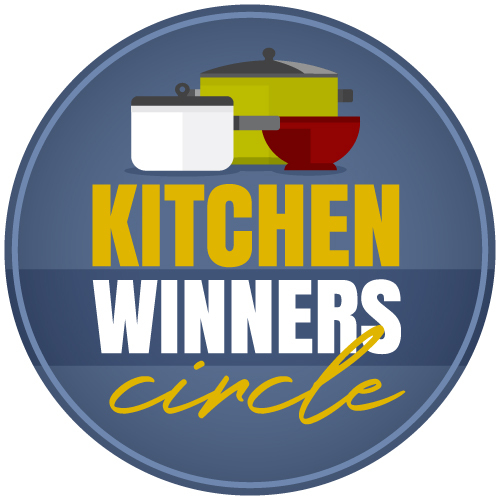 Strawberries with cooked chicken and fresh spinach and a sprinkle of salty cheese such as feta, maybe a handful of some nuts…. yummy.